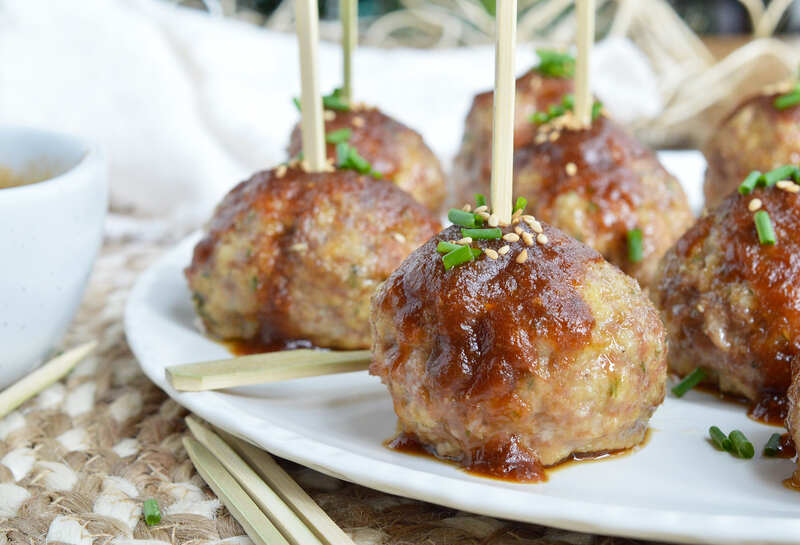 These Saucy Asian Meatballs are perfect for parties! 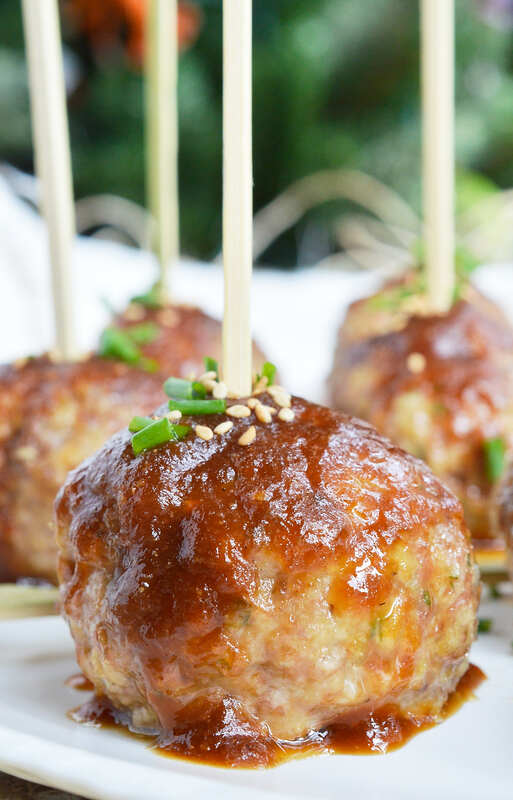 This easy appetizer recipe is a combo of baked meatballs and a sweet ginger sauce that takes just 10 minutes to make. Who doesn’t love a good meatball!?!? Especially when the meatballs are smothered with a flavorful sauce. 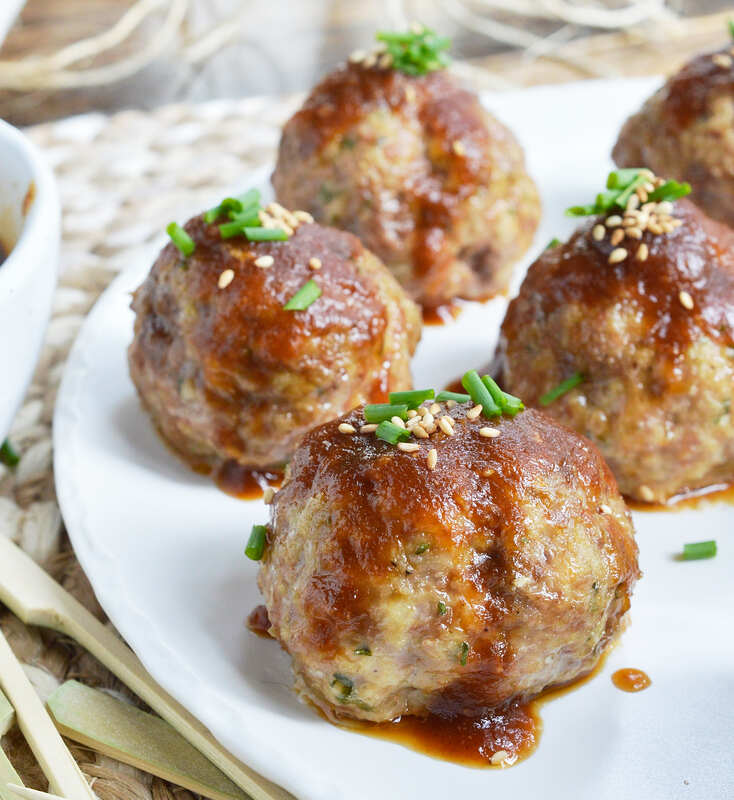 These Saucy Asian Meatballs are a break from the usual meatball recipes. The meatballs themselves are fairly standard and easy to prepare. This is all about the sauce! The slightly sweet and tangy sauce has the bright flavor of fresh ginger. This sauce takes only a handful of ingredients and 10 minutes to make! Again with my favorite ‘secret ingredient’, Musselman’s Apple Butter. The apple butter not only brings a sweetness and depth of flavor to the sauce, it also helps to get the right consistency without fussing with thickeners. 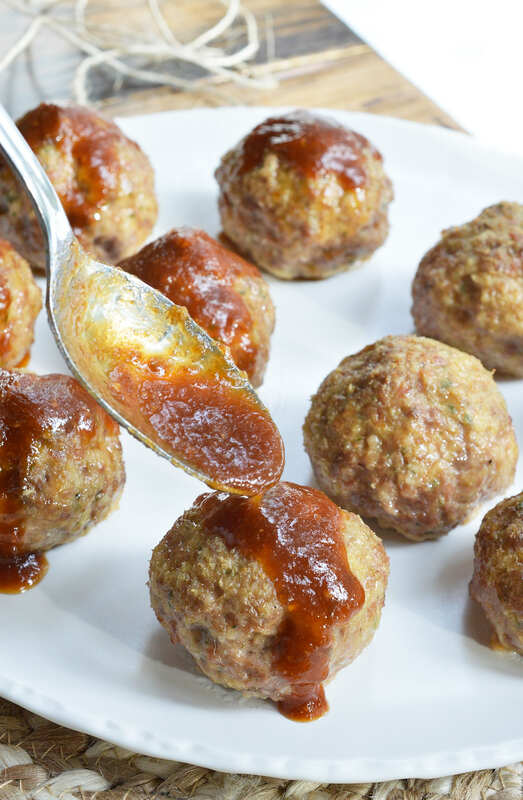 Drizzle the sauce over the top of the meatballs or let them swim in a saucy pot. 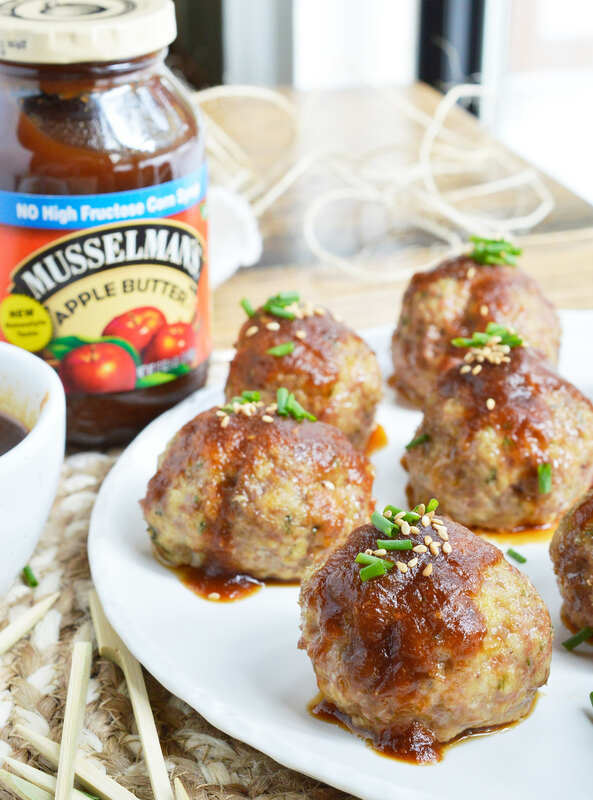 Either way these Saucy Asian Meatballs will be a hit! 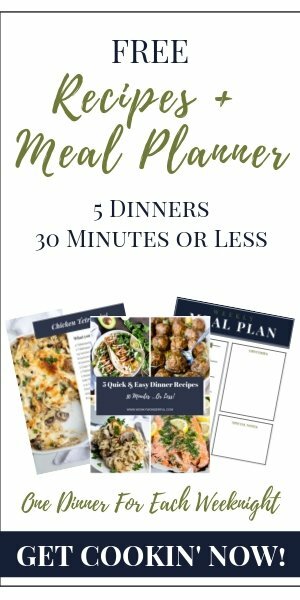 This makes a great party appetizer because the meatballs and sauce can be prepared ahead then heated before serving. And, because these are baked meatballs they do not require attention while cooking. No need to hover over the stovetop turning meatballs for half an hour. The chives and sesame seeds are really to add a pop of color. Meatballs with a dark sauce tend to look a little blah, but the garnishes really liven them up! 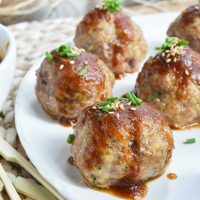 Meatballs are BIG deal in my household, as is anything Asian! I so can’t wait to try these on the hubs! Seriously, these look amazing. Love Asian flavours. 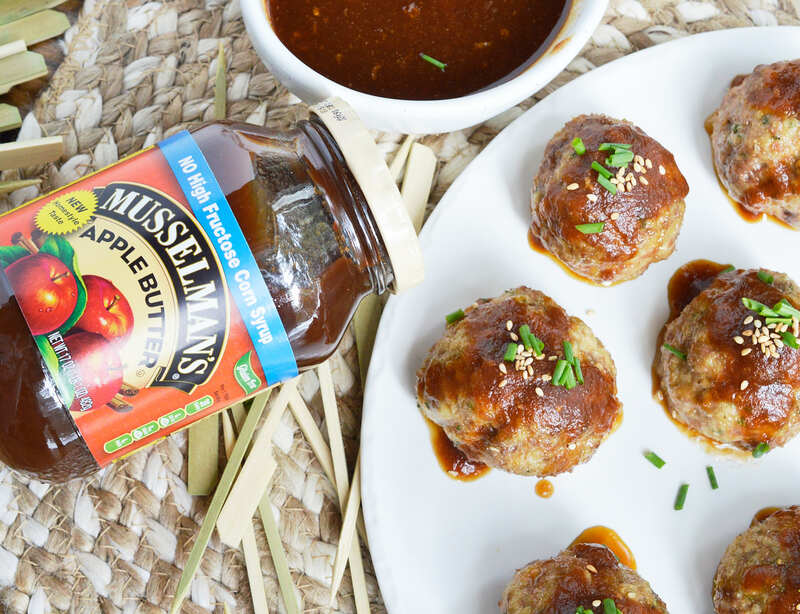 I love the flavors going on in that sauce, especially the use of apple butter! These look like the perfect crowd-pleasing appetizer! These meatballs are absolutely gorgeous. I would eat a million of these. These are delicious! Made them for a party and had many, many positive comments. Now am making them as an appetizer for Christmas. I did make them much smaller and baked them for much less time. About 10-15 minutes. Yum!